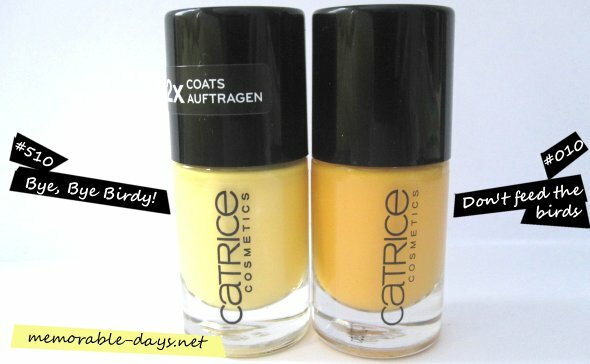 Catrice swatches - Bye Bye Birdy & Apropos Apricot | Memorable Days : Beauty Blog - Korean Beauty, European, American Product Reviews. I bought another two nail polishes of Catrice (Ultimate Nail Lacquer), which is a German brand. I actually bought these together with the other 2 nail polishes which I posted a few days ago: ..... Yes yes yes, another two pastel colors haha ♥ cause i'm loving it! I'm loving this apricot color ='D cause it's great for the summer ^__^! 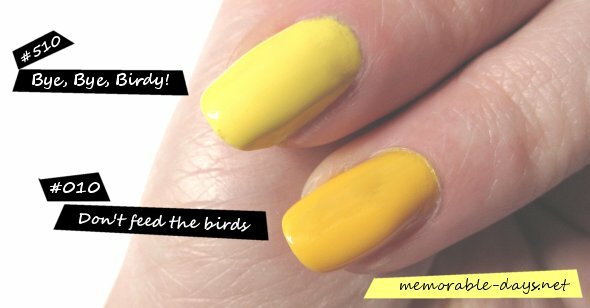 It's a light yellow nail polish and it's lighter than the #010 Don't feed the birds which I posted a few days ago. You can see the difference below. I like the light yellow nail polish more xD. They are €2,49 each, not expensive at all for great nail polishes like these :). There is 10 ml in each bottle. I lalalalapf the apricot color \^o^/ !!! Which color do you like more? Die abrikoos is leuker! Maar dat vooral omdat geel een apartere kleur is haha. @Marjolein, ik eerlijk gezegt ook.. eerst vond ik don't feed the birds wel mooi =D maar byebyebirdy is toch mooier xD i like pastel colors !! 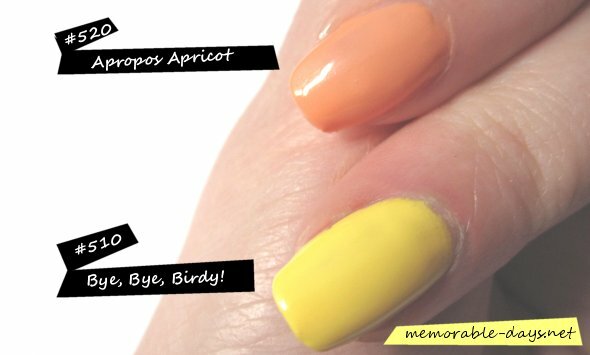 The Apricot is really cute - not really into pastels but this shade is pretty and creamy looking! I totally prefer Don't Feed The Birds. If you're going to go yellow, go all out! Wat een leuke kleurtjes zeg!